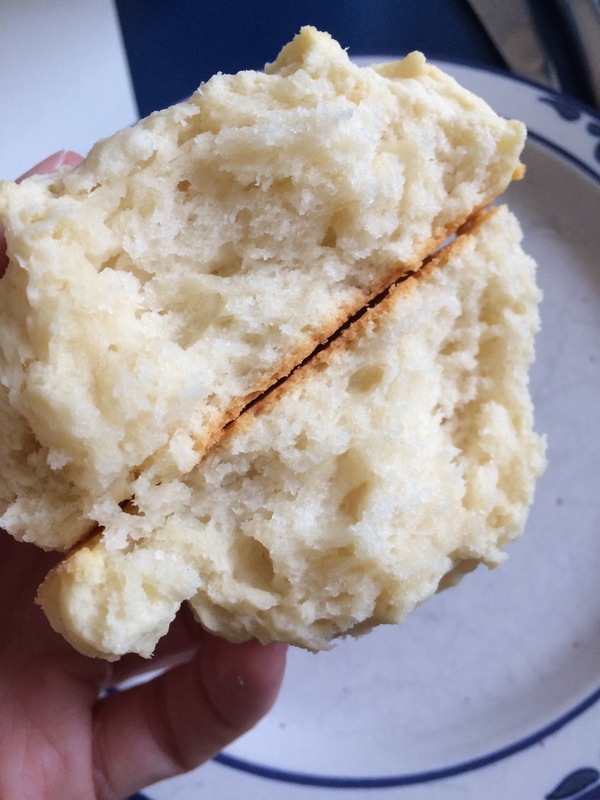 I don’t know it happened, but sometime this weekend, my fiancé, Jordan, and I got biscuits on the brain and nothing would satisfy except that warm, flaky tenderness only a biscuit can provide. 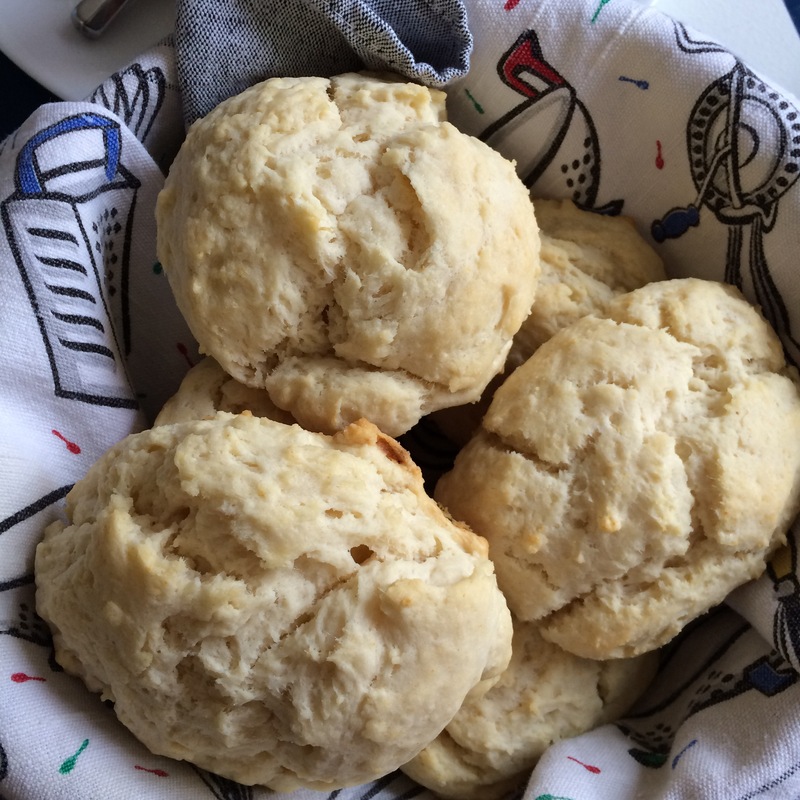 So I found this quick and easy recipe on Serious Eats for drop biscuits and whipped up a batch in the new kitchen that we’d just unpacked the night before. Did I mention that we just moved into a new apartment? Because that’s true. 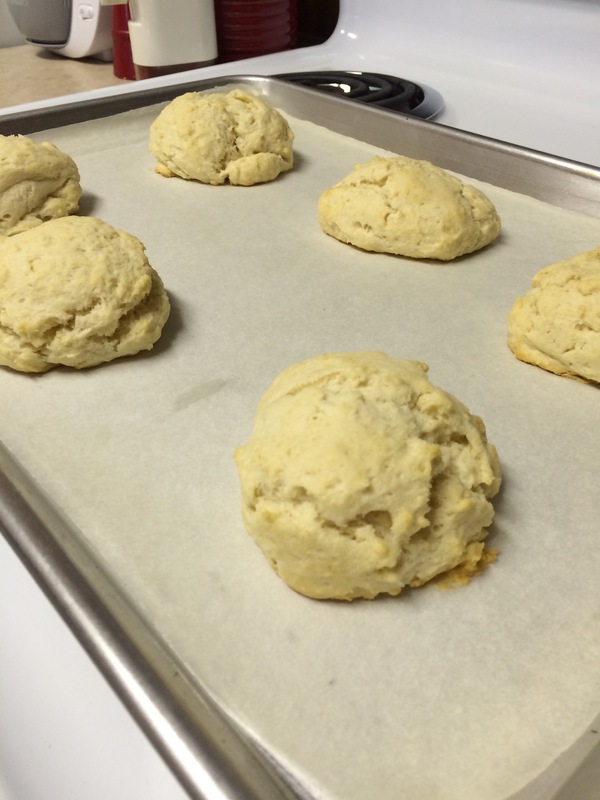 These biscuits are the first thing to be baked in our new home! Hence the housewarming biscuits title. And they were excellent! 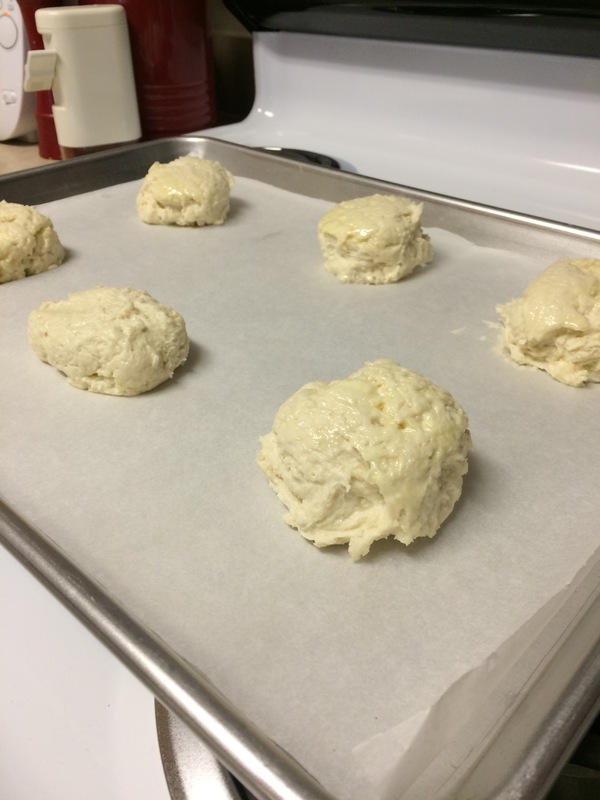 So tender and flaky! 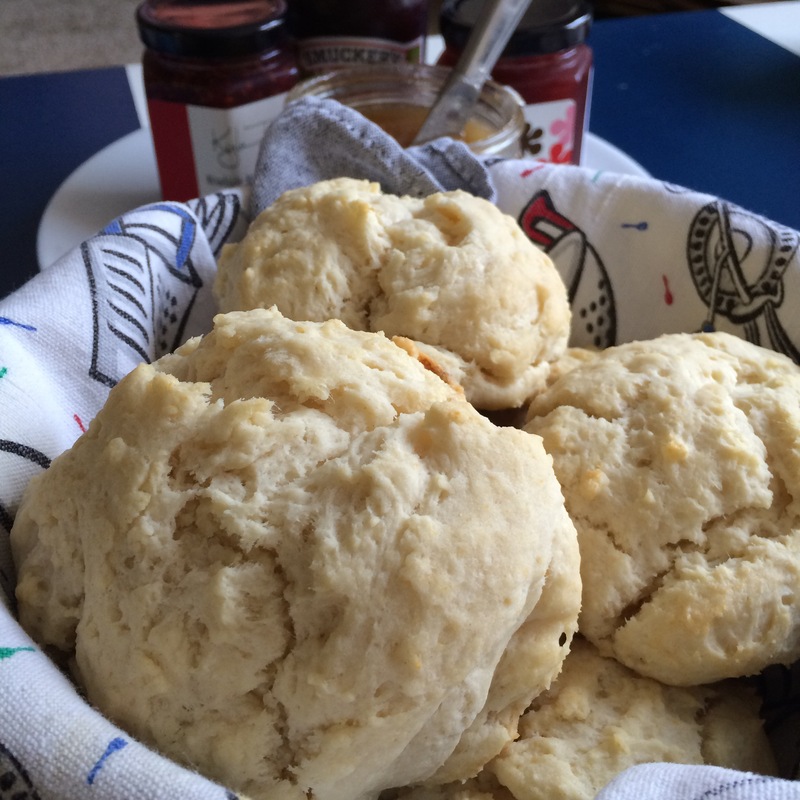 We paired them with honey and jam and ate them with coffee while watching the CBS Sunday Morning Show (the best way to spend a Sunday morning, in my opinion). 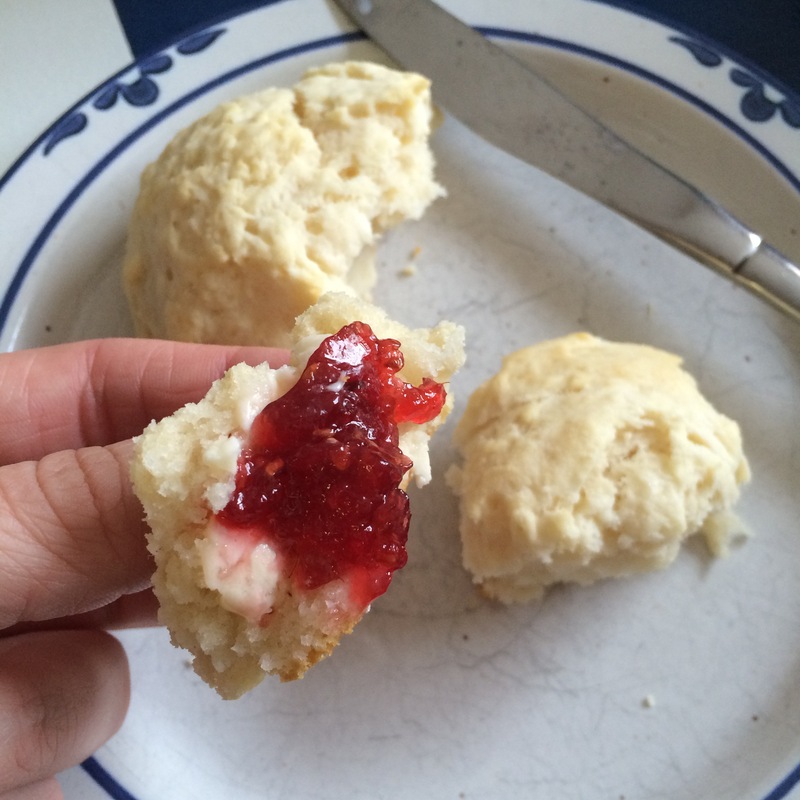 This entry was posted in Breakfast and tagged biscuits, Breakfast, sunday morning. Bookmark the permalink.